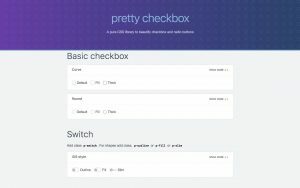 Easily add beautiful checkboxes and radio buttons in pure CSS. Highly customizable via SCSS. © 2002-2019 portalZINE® NMN. All rights reserved.